I am Kim Thidakallianey, a senior adviser of SNV organization working for the improvement of sanitation and hygiene in the rural area of Cambodia. 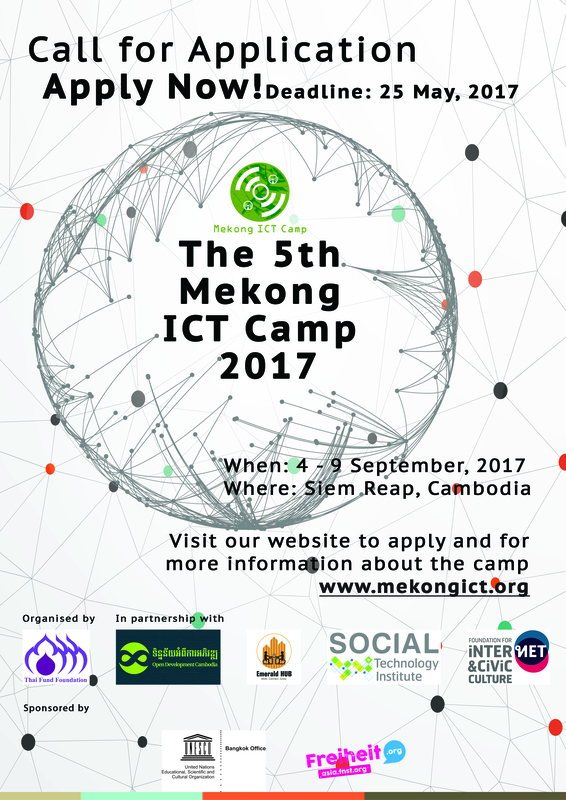 I am very interested with 5th Mekong ICT camp event and would like to register my name for the event on 4-9 Sept 2017 in Siem Reap. 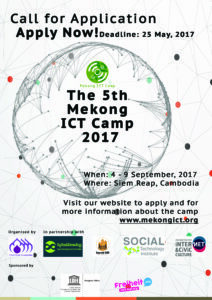 I hope I can have chance to meet with tech experts in the event who can give me the solution to solve the challenge of latrine data collection in our project area. Myanmar was left out? Can I still apply for it, please.. ? I am researcher from Researchers’ Republic from Myanmar. Is there any chance to participate? If I have to pay for the cost, I will. We’ve got enough participant from Myanmar and Laos.